Writers & Screen play : Reginald Rose. Cast : Martin Balsam, John Fiedler, Lee J. Cobb, E.G. Marshall, Jack Klugman, Edward Binns, Jack Warden, Henry Fonda, Joseph Sweeney, Ed Begley, George Voskovec, Robert Webber. Genres : Crime & Drama. This film could very well be the inspiration behind the saying ‘innocent before proven guilty’. Who are the ’12 Angry Men’ in the title you ask? They are 12 jurors in what seems like a pretty open and shut murder case involving an 18 year old boy accused of stabbing his Dad to death. 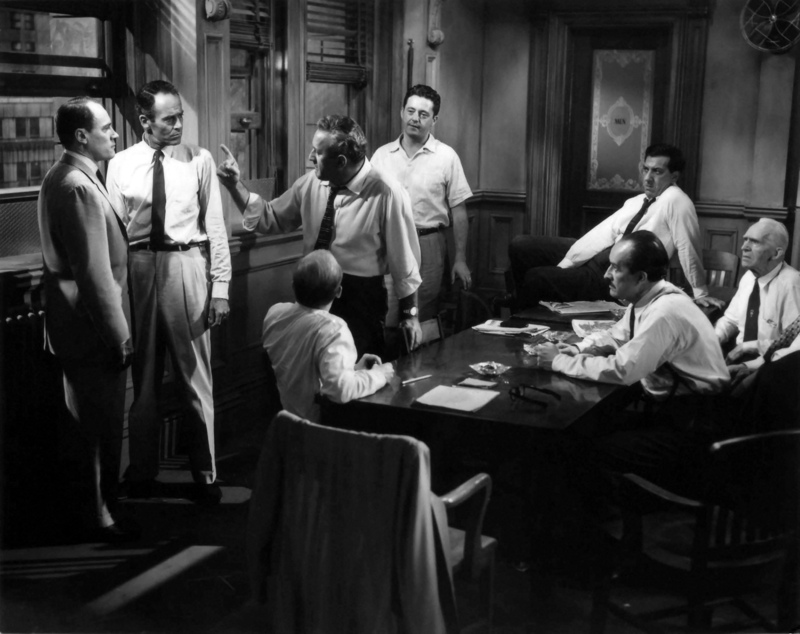 All of the jury except 1, played by Henry Fonda, believe the boy is guilty and he sets out to piece through the evidence and try to convince the other men in the jury of his assumption of innocence. And that’s how the movie unfolds and how the audience starts to learn more about each of the characters who are also getting to know each other as they are basically strangers from diverse backgrounds being brought together only by the common duty of being jurors. This film is utterly uplifting and probably before it’s time.